I have the card for over a year now, even though I got behind on monthly payment once but still they gave me credit increase twice, 200$ each time every 5 months, great customer service. I disputed a fraud once, it was quick n they credited me the amount. My bank thought payment to Merrick was fraudulent and declined a $500 payment. Merrick immediately closed account and sent to collections. They will not make it right. And there collection company they send it to is just as bad. Tried to schedule payment with them on certain date and they tried pulling the money same day upon making arrangement which money was not available yet. How did it boost your score 107 points before you got it in mail? I was just approved and currently waiting for mine in mail. I have had this card for over a year now. I paid the 200 dollar initial security deposit, then added 300 more for a 500 dollar credit limit. I have NEVER missed a payment. I pay on my card multiple times a month and I never carry a balance. They rewarded me with a 200 dollar increase in February. It’s a little disappointing, but I guess I should be thankful for something. Building credit with this card was as easy as making on-time payments and keeping the balance low. I’ve had it for about 3 years, and my credit score went from low 500s to low 700s. It also helps in establishing credit if you’re starting from scratch. Only disappointment was they never refunded the $200 deposit like many other cards do. My CL was raised twice and is only $395 today. So your initial credit was $200 which was your secured deposit, correct? So how would this card be great if you have had two CL increases and your total credit availability is $395??? They gave you credit of $195 on top of your $200 deposit? WtF?? How many day does it take your payment to post ? Jjeremiah100 if I pay before the cut off time my payments post next day. Started with $700 limit. Doubled in six months. Then went to $1600 limit. Had the card three yrs and now have $2000 credit limit. Keep your balance around 50% and pay on time. Secured credit cards you receive credit limit. Unsecured credit cards you put your money on it. Did they refund you the security deposit you paid upon opening? Macb85 is referring to the Merrick Bank Double your Line Visa which is an unsecured credit card. 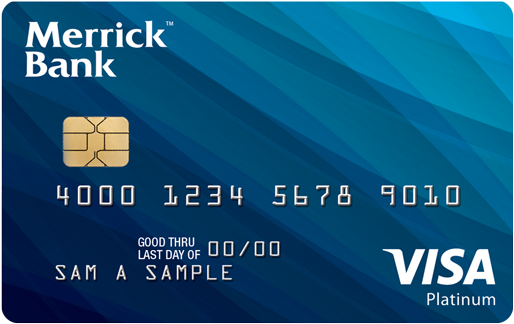 The Merrick Bank Secured Card does require a $200 security deposit. I have been with them for a year and they did not return my security deposit they just added an extra $200 to my current limit bringing it to $700. Had this card for 8 month's never a credit increase played my bill on time every month. NO card company is going to send out a refund check because you made a double payment. They just apply it to your balance. Pay better attention. Helps re-establish credit. Customer service always helpful. Have never had any issues with custimer service or card. Received increase when they said I would. Happy with company.. Mine doubled after 7 on time payments! Wrong card. This is a secured card not the "Double your line"
Stop complaining You probably missed a payment. Mine doubled.